Ever experience shooting pain in your heels when getting out of bed in the morning? Or unbearable heel pain after sitting for long periods of time? If you’re nodding your head “yes,” you may be dealing with plantar fasciitis. But be encouraged; your pain can be relieved with noninvasive treatment. Let’s explore this condition and your options for relief. Your plantar fascia is located on the bottom of your feet and consists of a thick band of tissue that connects from the heel bone into your toes. When you’re active, this fascia plays the vital role of a hard-working support system in your foot. The band essentially acts as a bow to help absorb shock and provide support to both of your feet throughout dynamic movement. Pretty awesome, right? When this fascia gets overused or inflamed, it can turn into one of the most common causes of heel pain. 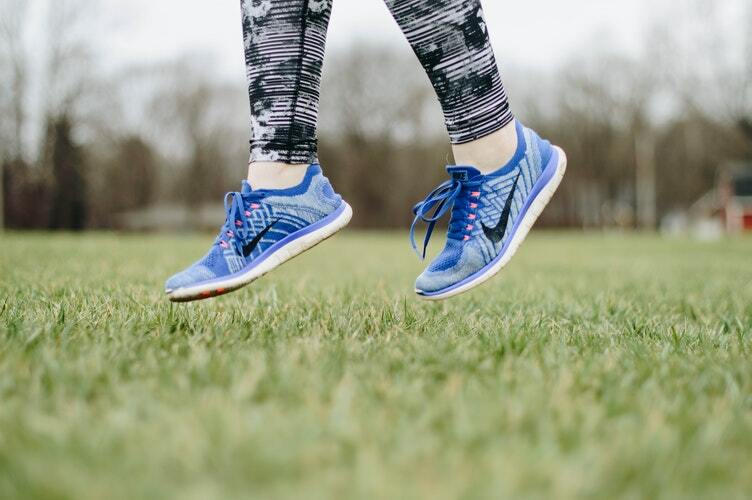 Because of its supportive role through movement, plantar fasciitis is incredibly common amongst runners, although other physically active adults may also develop plantar fasciitis, with risks increasing for those over 40. So what causes plantar fasciitis? When that band of fascia becomes overworked and has excessive tension and stress placed upon it repeatedly, small tears can start to form. These tears are the irritation that leads to plantar fasciitis and the feeling of stabbing heel pain. Though the pain usually subsides a bit with some “warming up” of the foot, it generally returns post-activity, after prolonged periods of sitting, and first thing in the morning. Runners and athletes are not the only populations who are affected by plantar fasciitis though. Some people who are genetically a bit more “flat-footed” as well as those who have a higher arch than normal have experienced this same stabbing heel pain. This is a result of foot mechanics needing to work a bit harder to distribute weight evenly. Plantar fasciitis can also develop in those engaging in repeated jumping routines through dance or exercise, have jobs that keep them on their feet throughout the day, or those who struggle with obesity. If you’re managing plantar fasciitis pain, the good news is that most cases are completely treatable through conservative care over the course of a couple of months. One of the first steps is to try resting the affected foot or feet a bit more than usual. This may mean dialing back your exercise routine or switching to some non-weight-bearing activities to give the fascia along the bottom of your foot a chance to rest. If your work keeps you on your feet, pay attention to opportunities where you can incorporate some sitting as a part of your routine. Many have also experienced relief by applying ice to the affected area. Light stretching of the plantar fascia can also be beneficial, though you should be careful of excessive stretching of the area, as this can contribute to more tearing along the fascia. Even if your goal is to keep your feet in tip-top shape, be careful not to overdo it with too many aggressive foot stretching exercises. Additionally, some experience relief by sleeping in a foot splint or by incorporating orthotics into their footwear rotation. Believe it or not, chiropractic treatment is another non-invasive method to use while addressing plantar fasciitis pain. Because of the inflammatory nature of plantar fasciitis, chiropractic adjustments of the spine can help the body realign to minimize inflammation while you’re healing. Additional adjustments of the extremities, including the feet, can also help decrease inflammation and keep your healing timeline on track. Your chiropractor can also help prescribe the best at-home exercises to quicken your recovery time outside of the office. With regular chiropractic care, you’ll keep your body’s response system in tip-top shape and minimize inflammation. During the initial evaluation, we will go over your symptom history in detail and construct a treatment plan that you are completely comfortable with before moving forward. Don’t put off your healing; schedule an appointment online or call (949) 397-6699. This article is for informational purposes only and is not a substitute for in-person advice or care from a medical professional.